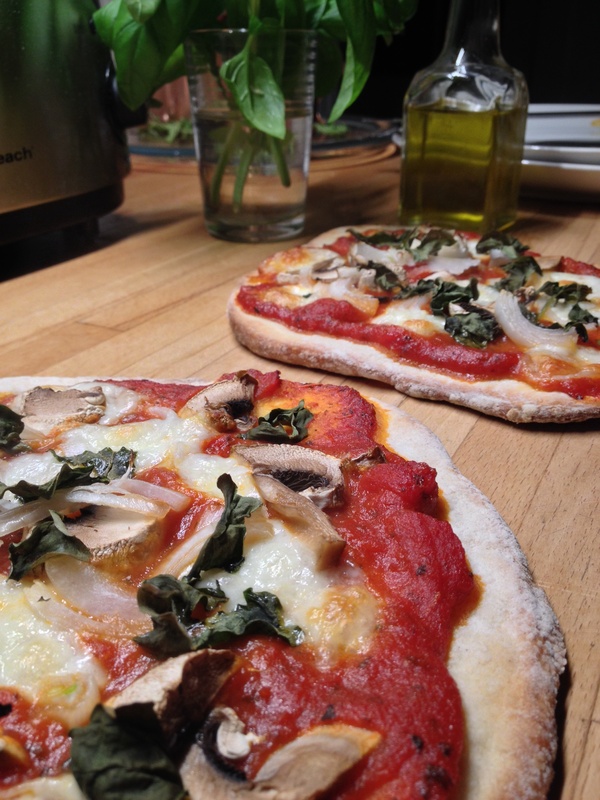 I’ve tried many recipes before, but this one uses two key ingredients, or techniques, in making the perfect pizza at home. The first secret is that there’s a special kind of flour called “00”; that’s double zero flour. I think it has a bit more gluten than AP flour… Or is it less gluten (I’ll have to research that one). Using this kind of flour will make the texture very nice, and the dough will be easy to work with. One of my usual mistakes is trying to make a large circle of dough, and then it’s nearly impossible to move the topped dough from the pizza peel into the oven, even with a dusting of cornmeal. Sorry but that tip never worked for me.